One of the many perks of hiring a food truck for your wedding is the option to build a custom menu with the trucks. You are afforded the opportunity to create a totally unique experience for yourselves and your guests, rather than picking standard catering package A, B or C from a venue. But the very best part of this arrangement? Your custom menu will be made fresh specifically for your event, in some cases even to order on site. Have you ever been to a venue where they are serving the same desiccated chicken breasts and tough prime rib throughout all the ballrooms...all weekend? When you hire a food truck, there’s no need to wonder when your food was prepped, or if it was even intended for your event. We accomplish this by working with each client to custom select the trucks you would like to use, and what they will be serving. No two food truck weddings are exactly alike, which means no leftover or reheated plates circulating here! Your wedding will be replete with only the freshest possible ingredients for the freshest meals. 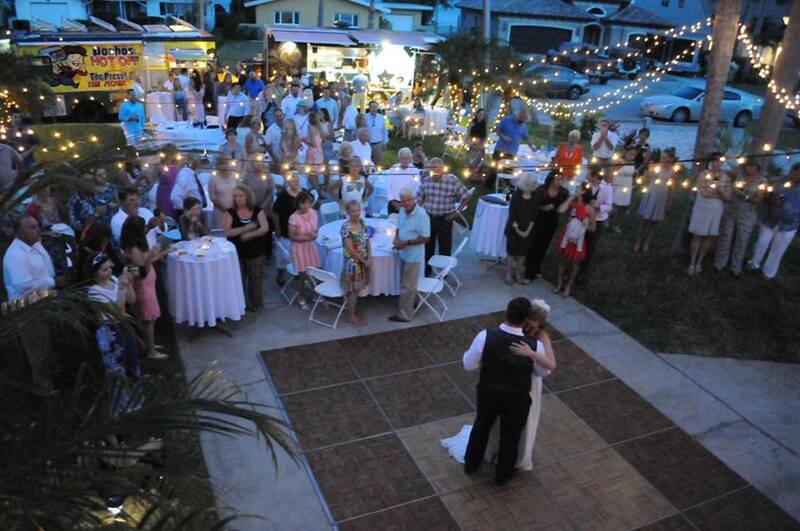 Because your kitchen is present and preparing meals at your wedding anywhere whether a popular well known venue or the middle of a field in central Florida miles from the nearest street light. (yes we mean the ones that light the streets not a stop light) Whether the truck is seen or unseen, the quality and difference of food is unmistakeable. So please don’t settle for subpar, mass-produced meals for one of the best parties you’ll ever throw. Call Tampa Bay Food Truck Rally to see how we can make your food something you and your guests will remember for years to come! Stop back and check out our next post "Worried about food lines at your wedding"?